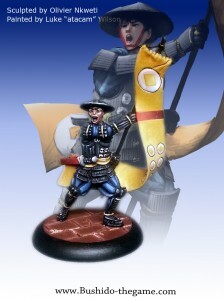 GCT Studios gives us a look at the last Wave 9 model, Fujitaka for the Prefecture of Ryu. They've also started taking names of people who want these minis as soon as they're available. Be the first gamer on your block with them!